Sony has unveiled its latest attempt to tech up your noggin with a new smart display that attaches to your normal glasses. The ridiculously named ‘SmartEyeglass Attach’ comprises of two temple-hugging modules connected by back-of-head tubing. The right-side module carries a very small OLED microdisplay, which beams information onto your retinas at a 640 x 400 resolution. Both modules also carry the core components of the device, which include an ARM processor, a 400mAh battery, Bluetooth and Wi-Fi, a touch sensor for controlling the attachment, and an accelerometer. SmartEyeGlass Attach is supposedly being targeted at the sports industry primarily, as valuable metrics like run-speed, time-elapsed, and calories burned could all find a handy home atop your eye-line. According to The Verge, Sony says it’s going to kick off mass production some point next year, and will have prototype versions available for the Consumer Electronics Show in Las Vegas in the second week of January. 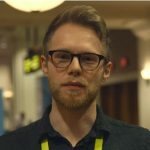 The firm unveiled its precursor to the attachable display – the SmartEyeglass – earlier this year, and launched the device’s SDK back in September, with an on-sale date pegged for March next year. This original SmartEyeglass was a far more cumbersome affair, and looked a bit like a spruced up pair of swimming goggles. Unlike the new device, the SmartEyeglass had its augmented reality tech built into the glasses, as opposed to clipping on to pre-existing specs.